When any new things come in website all people are excited to look new something. And Countdown Extension in Magento 2 will help to increase peoples' patience to show something new in any website. 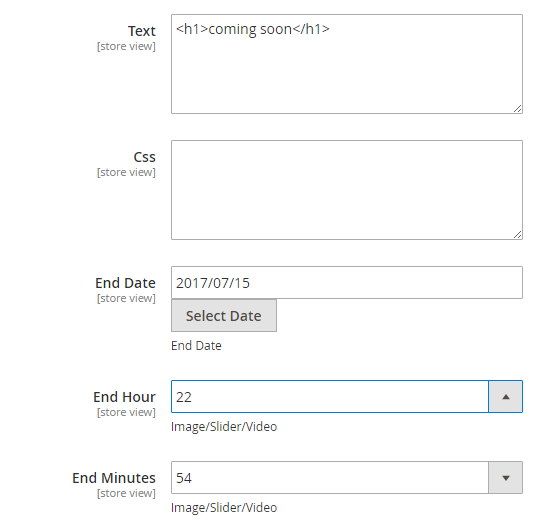 The Countdown Extension in Magento 2 gives customers comfortable and efficient way to create a custom countdown page by the store administrator. 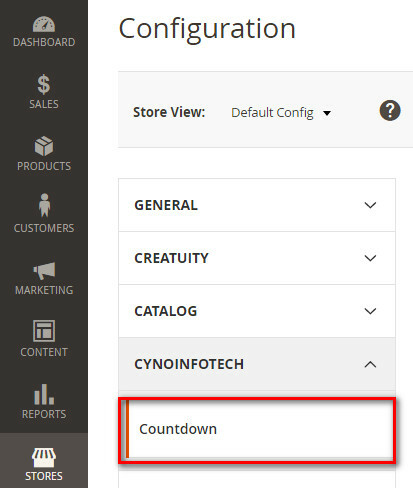 Using Magento 2 Countdown Extension store administrator can enable Countdown. The Countdown Extension show user who visit the website that website store is in maintenance mode or new website is launching in shortly. 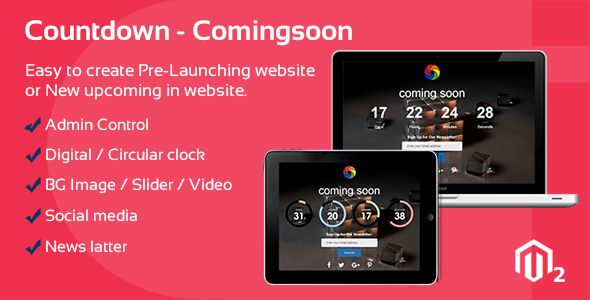 Countdown Extension is providing comfortable with such like Pre-launch landing page for new website development. 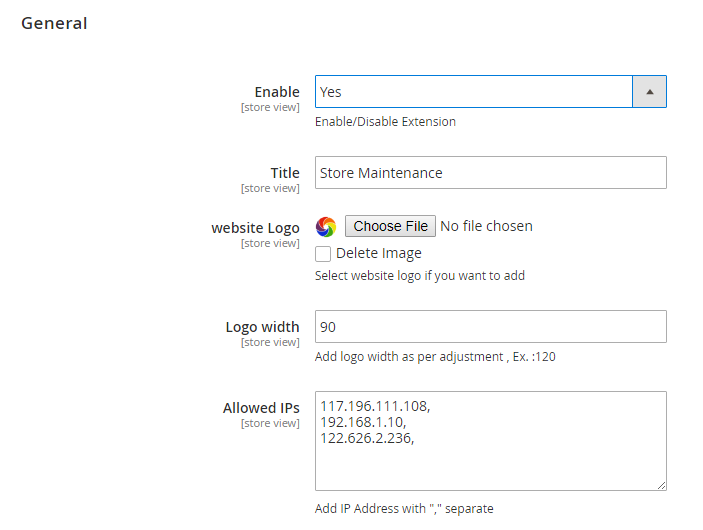 Using this extension Administrator can set a specific time and date to launch a new website or some new things that are upcoming in the website. If a website is updated or it is maintenance mode than this extension is useful to show the user that “website is in updating or it is maintenance mode and coming up shortly”. Countdown Extension is compatible with all browsers. Using this allows you white list IP addresses. 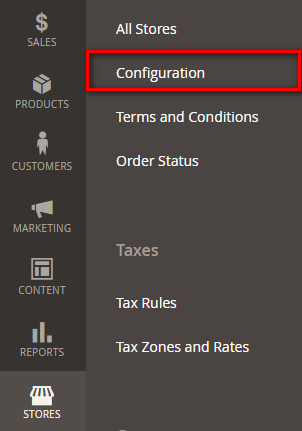 With this extension Magento2 shop either is the front-end of backend can be accessed from giving IPs. Countdown Extension also provides features like set logo, background image, background video, background slider, count down time via back end by the store administrator. 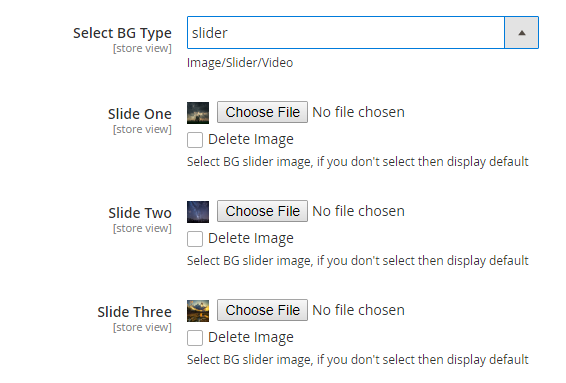 Also change the header and content with any color scheme from back end. In short, it is easy to change layout of the upcoming countdown page. Countdown Extension provides user subscriber facilities by news later. The visitor can contact administrator by providing email using this form. The administrator will get an email and inform subscriber when new upcoming is ready in a web store or website is launched. So it is helpful to connect directly to the web store user. Countdown Extension is social-networks-friendly, so website doesn’t need any additional way to allow their customers to share their posts in Google+, Twitter, Facebook, Pinterest. 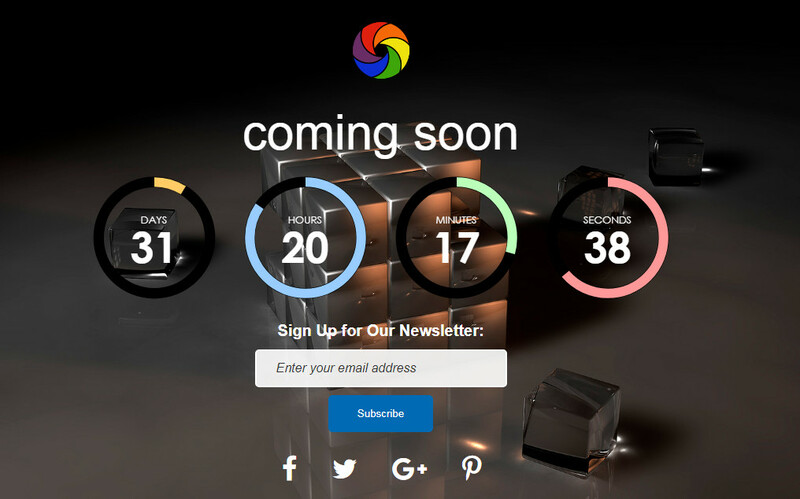 Easy to create Countdown page for Pre-Launching website or New upcoming in website or when website is under maintenance. Set End Date and when countdown is over site is automatically will be live. Set logo, title, background image, background videos, and background slider. Visitor can contact administrator by providing using Newsletter functionality. The administrator will get an inform subscriber when new upcoming is ready in web store or website is launching. Admin can set Google Analytic Code during site maintenance. White list IP addresses for which the site would be accessed. Connect with social media Google+, Facebook, Pinterest, twitter. Choose logo of website, title, whitelist IP. Set date and time for either it is pre-launching website or website is under maintenance. 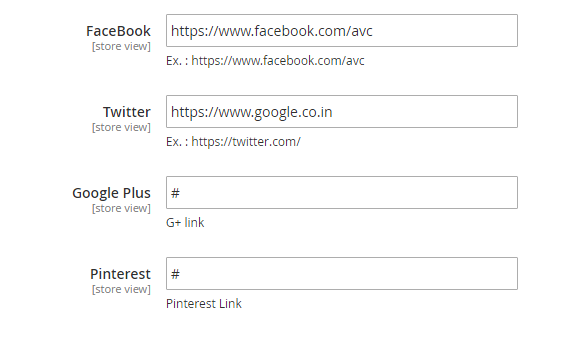 Set connect with social media. Frontend view of Countdown Extension.